The best pool cleaning company in Huntington Beach. Bar None. We offer the best pool cleaning services in Huntington Beach and all surrounding cities through weekly and bi-weekly swimming pool cleaning services and spa cleaning. Huntington Beach Pool and Spa offers the best pool cleaning service in Orange County for swimming pools at the residential and commercial level. Are your pool tiles looking a little too calcified? Deck feeling a little gunky? Pool pump and skimmer tightly packed and a little hard to clean-up? Or are you just wanting a regular pool cleaning service to finally make your pool look good for once? You're in luck - we've got you covered. The Best Pool Cleaning Service in Huntington Beach..And Beyond! If you think we're talking a big game as the best pool cleaning company in Huntington Beach, we can back it up. Always. ​Our swimming pool cleaning services consists of an awesome technician team that will always provide the best cleaning jobs on the same day of each week per your schedule. Our cleaners will set up to vacuum the pool and spa each time. Pool cleaners will backwash as needed. Pool cleaner will document all procedures done and will also notify our clients of any immediate issues, if any, after a service. There's no need to worry on the quality of cleaning you'll receive. 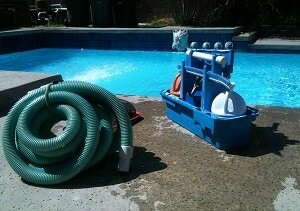 Each Huntington Beach pool cleaner has years of taking on jobs of different sizes and obstacles. We'll make sure your pool looks and stays clean. Have a spa facility or Jacuzzi needing repairs? We too specialize in spa cleaning and are well versed in everything dealing with professional Jacuzzi cleaning, hot tub cleaning or cleaning of spa facilities. Our technicians all have at least 10 years in spa care with modern spa cleaning solutions, non-abrasive cleaners, cleaning all filters and wiping down all cartridges. Our pool cleaners aren't providing your typical hurry-and-finish service that always worries a pool owner. We execute a calculated inspection and guideline when in every swimming pool cleaning service. Every pool cleaner on our team is fully trained to follow our extensive pool cleaning guidelines. We know our customers don't expect anything but the best and we hold ourselves accountable to that as well. Looking to schedule our swimming pool cleaning service for your residential or commercial pool?